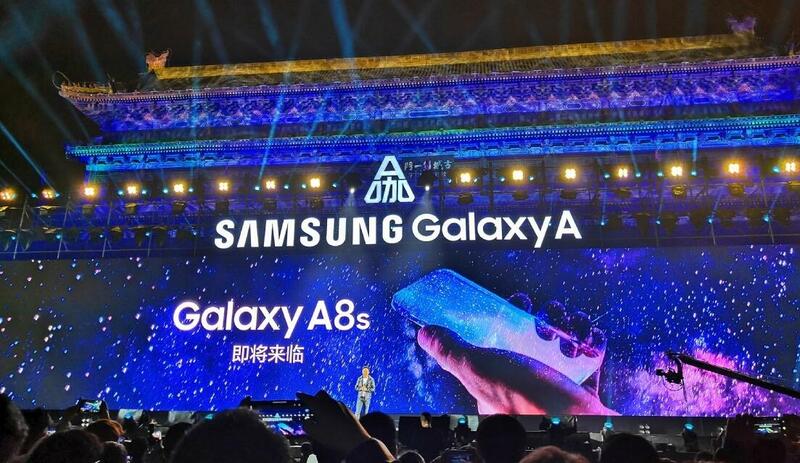 Samsung has teased a device called the Galaxy A8s at a recent launch event held in China for the Galaxy A9s and A6s. An image of the unexpected third smartphone was displayed at the event, which seemed to show a handset with a completely bezel-less and notch-free design. However, it has been rumored that the Samsung Galaxy A8s could utilize a hole rather than a notch for the front-facing camera. 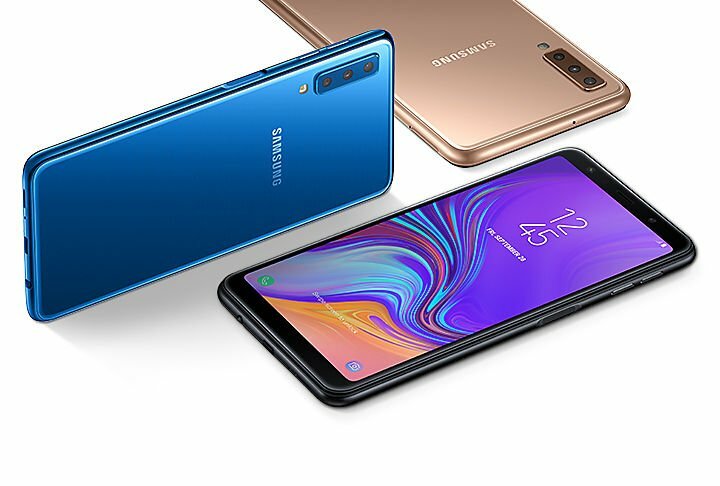 It has been reported that Samsung could be busy working on a bezel-less and notch-free smartphone, but it now seems the South Korean company could already have something similar in the works with the Galaxy A8s. The device was teased at a Chinese launch event for the Galaxy A9s and A6s, but no further details or possible specifications were offered about the phone at the time. A flashy concept image of the A8s was shown on a huge screen for the audience to enjoy, and there’s certainly no notch to be seen anywhere. Known tipster Ice universe has speculated that the “first-time adoption” technology the A8s will apparently incorporate is an innovative display that utilizes a drilled hole to accommodate the front-facing camera. The hole could end up being in one of the corners or in the center of the device, but this seems to contradict the teaser image shown at the Samsung launch event. At the time of writing, the speculative tweet in question has been removed from Ice universe’s Twitter account, thus casting some doubt on the “hole” theory. Another rumor has offered supposition that the Galaxy A8s could be the device that appeared on the Twitter account for Samsung_News_ recently. The relevant tweet describes a smartphone with the model number SM-G8870 that will use a Snapdragon 710 SoC and come with a triple camera system on the rear. This handset is believed to be part of the A-series and is expected to launch in January 2019, which means it could well be the Galaxy A8s. But the concept image linked with the tweet shows a device with bezels aplenty and no sign of a notch-replacing hole. Hopefully, it won’t be long before further revelations are made about Samsung’s latest addition to the Galaxy line-up to clear matters up.